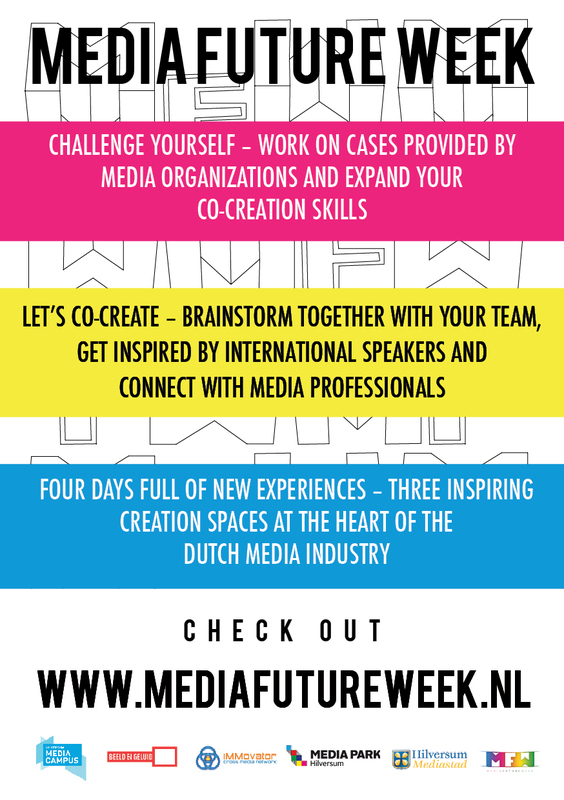 On the subpages of this menu you can view the case presentations of all the teams that participated Media Future Week 2016. It will give you a nice impression of what you can expect! This team was one of two teams that presented a case for the Museum for Sound and Vision. Team 2 had the solution for the problem BNN faced them with. The second team that worked on the case of the Museum of Sound and Vision. MediaWijzer had a problem and team 4 presented the solution. How can Veilig Verkeer Nederland reach the youth? Team 5 provides the answer. Team 6 is the teacher team of MFW16. They presented their own case about innovation in education. This team worked on the case of the Municipality of Hilversum. TNO was the case partner of team 8. What is the target group of Dutch broadcaster VARA? Team 9 might just know it.